The Rangers were defeated by the New Jersey Devils, 4-1, tonight at Prudential Center, and are now 13-4-3 in their last 20 games. New York has posted a record of 42-16-7 (91 pts.) overall, including a 20-9-5 mark on the road. The Rangers held the Devils scoreless in four shorthanded situations (8:00), and are now 16-17 (94.1%) on the penalty kill in the last five games. New York currently owns a 10 point lead over Boston atop the Eastern Conference standings, and hold an eight-point gap over Pittsburgh for the Atlantic Division lead. Derek Stepan notched the Rangers’ lone goal at 6:56 of the second period to extend his point streak to four games (two goals, three assists) over the span), tied for the team-high with four shots on goal and led all team forwards with 21:30 of ice time. He has now tallied 13 points (five goals, eight assists) in the last 16 games, and has registered a goal in each of the last two games. Carl Hagelin tallied the primary assist on Stepan’s goal and posted a plus-one rating in 16:51 of ice time. He has now tallied eight points (four goals, four assists) in the last 10 games, including six points (three goals, three assists) in the last six contests. Dan Girardi recorded an assist and logged a team-high, 23:09 of ice time in the contest. He has registered three assists in the last five games, and now ranks second among team defensemen with 19 assists on the season. Henrik Lundqvist stopped 25 of 28 shots in the contest, and is now 31-13-5 overall with a 14-7-3 mark on the road. 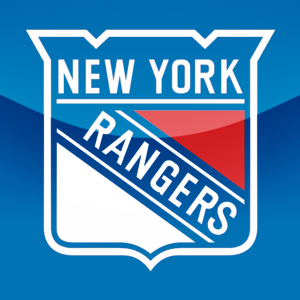 The Rangers will return to action when they face-off against the Ottawa Senators on Thursday, Mar. 8, at Scotiabank Place (7:30 p.m.), to begin a back-to-back road set. The game will be televised live on MSG Network and can be heard on Bloomberg Radio. This entry was posted in Hockey, New York Rangers, NHL, Sports and tagged Derek Stepan, Henrik Lundqvist, MSG Network, New Jersey Devils, New York, New York Ranger, New York Rangers, NHL, Prudential Center, Ranger. Bookmark the permalink.